A comparable scenario applies to the appearance before the Commission of the NAB’s CEO (Andrew Thorburn) and Board Chairman (Ken Henry) on 26 and 27 November 2018 — transcripts here. Andrew Thorburn (CEO since August 2014) comes across as a man out of his depth. This exposure may explain why he was sent on a long holiday. Thorburn was on his way out before Commissioner Hayne pointed the bone at him. As for Henry, his arrogant and petulant performance had Hayne conjoining Henry to Thorburn towards the exit. Thorburn made a child-like statement to the Commission in November on the sources of NAB’s problems. The Commission chose to take the statement too seriously, subjecting it to time-wasting dissection. At least the interrogation exposed Thorburn’s vapidity. The Commission chose to hone in again on the “fee for no service” scam. Thorburn chose to blame inadequate technical systems (“ineffective process design”) — there was no conscious malintent on the part of bank personnel, he claimed. The NAB’s subsidiary MLC had never been properly integrated, he claimed. There was also an inadequate paperwork trail with the NAB’s advice licensees which required the digital age to clean up, he claimed. The NAB acquired MLC in 2000, so there would be a lot of people on the list responsible for that “failure to integrate”. And competence and integrity were impossible before the digital age? How an organisation responds to the failures once uncovered brings the crucial “ethics” dimension into focus. 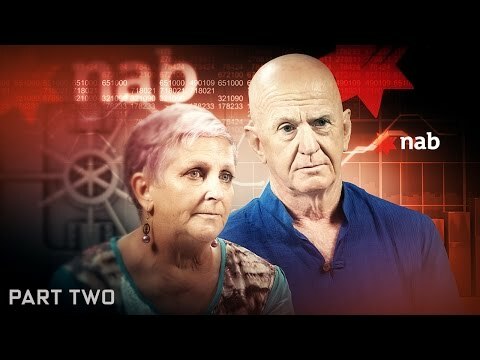 The NAB made a concerted attempt to avoid or delay making remediation payments to the victims of “fee for no service” as well as misleading ASIC as to the extent of the misconduct. ASIC first expressed dissatisfaction regarding remediation with NAB in June 2015, following an internal alert from MLC itself. By April 2018, there had been no progress. It is curious that Jillian Segal was a Director at NAB from 2004 until her resignation in December 2016. She had also been a Deputy Commissioner of ASIC for the period 1997-2002. Thus Segal, with her privileged background at ASIC, had sat on the Board for 18 months during the height of NAB’s tussle with ASIC, with no apparent impact on NAB’s recalcitrance regarding mending pronto its remediation arrangements. More, Segal’s 12 years on the Board was a time of perennial rackets by the NAB against its customers. To cap off an illustrious career, Segal was awarded an AO on Australia Day 2019, for “distinguished service to the banking and financial regulation sectors [etc]”. Segal’s resignation was opportune, bequeathing an ongoing impasse with ASIC. Given that Thorburn is at the helm during 2015-18, the indifference to a speedy resolution much be sheeted home to him. FSRC counsel assisting suggested that the delay was due to the bank baulking at the cost of appropriate remediation. Yet Thorburn kept insisting that the “complexity” of the issue inhibited closure, and that the bank, with exceptions, has an “overwhelmingly” ethically-oriented culture. Thorburn claimed that it was the customers themselves who wanted from the bank the full package of financial services, as a matter of convenience. That’s a straight out lie. Acquiring “wealth management” divisions was a central strategy of the Big 4 in the 1990s, from which followed the hard sell of the full package, forcing front office staff into the strategy with remuneration linked to that end. David Murray (Paul Keating’s choice for head of the CBA that Keating was in the process of privatising), CBA CEO from 1992, realised that once Keating had made superannuation compulsory in 1992 that there would be a huge inflow of funds into superannuation. Murray strategically acquired Colonial Limited (previously Colonial Mutual Life Assurance) in early 2000, and NAB quickly followed with the acquisition of MLC (previously Mutual Life & Citizens Assurance). Thorburn stressed the importance of putting customers first, acknowledging the NAB’s past failures. His banking career spans 30 years, but he displays no awareness of the perennial failures and scams of that sector during the period. In 1988 the banking sector was steeped in a morass of its own post-deregulation making. Remember the foreign currency loan saga? Its surviving victims certainly do. Another preoccupation of Royal Commission personnel has been with bank personnel remuneration. The remuneration issue deserved lower priority, given limited hearing time, but the exchanges did expose some interesting dimensions. Thorburn claimed that senior executive packages need to be fulsome given the need to attract and hold talent in a market that’s global. Well how come then that the NAB has acquired a string of dud CEOs? And the last two came from just across the Tasman (Cameron Clyne and Thorburn himself), indeed inhouse at the NAB’s NZ subsidiary. A related disclosure is the extraordinary amount of time that various committees and the Board spend dealing with the variable remuneration component — feathering their own nest. They haven’t been able to devise a scheme that provides the right incentives for the desired outcomes. In short, they are complicated and dysfunctional. At one point, counsel assisting asked — why not do away with the variable component and rely purely on fixed base salaries (whatever the desired level). A sensible suggestion, but one that went straight through to the keeper. The Commission’s questioning highlighted the dysfunctionalities prevailing at NAB, not least at the very top. But the Commission merely skimmed the surface. Strategically? As from July 2016, the NAB (led by Wealth Management head Andrew Hagger) merged five disparate super funds [link behind paywall] into a new one, MLC Super, forming the largest retail super fund in the country. One fund was the NAB staff super scheme itself (with half directors staff-elected), its special character dissolved. Four of the five funds contained Defined Benefit schemes, with their specific Trustee requirements – these also have been vanquished. In a standalone Defined Benefit Fund such as that operated by Australia Post, fund members can readily check whether the Trustee is paying benefits in accordance with the Founding Trust Deed and all lawful amendments. In another example of proper process, Australian Super moved all their Defined Benefit funds to a specialist trustee and fund called Equip Super. Danielle Press, now an ASIC Commissioner, was CEO of Equip at the time. By contrast, it is effectively impossible for any member of a Defined Benefit fund member in any fund under the control of NAB to check if they are being paid their correct benefit. The Royal Commission was advised about the mid-2016 merger, with all background material, by Sweeney. 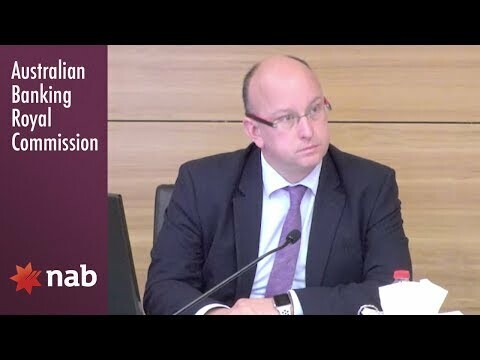 Counsel assisting Hodge questioned a key staffer on the merger, 6 August 2018, but all significant issues involving corrupt procedures and “puppet” NAB-appointed trustee directors have been ignored. The treatment of the NAB’s overarching trustee NULIS Nominees’s sins in the Final Report’s Vol.2 is similarly superficial. The merger was rushed, with the NAB seeking to gain access to the expanding and potentially lucrative “default” superannuation fund arena. The NAB claims that the merger involved a drive for “efficiency”. However the cynical merging of small high return funds with a large low return fund will involve the ready appropriation of hundreds of millions of dollars into NAB coffers. I have here in my hand a deed that confirms that NULIS should be paying death benefits to around 150 widows of dead people, namely many of my former work colleagues. This deed was criminally concealed from the Regulator APRA by a business associate of NAB. What are you going to do about it, asked Sweeney, when he met with Thorburn after the AGM and handed over a copy of the Deed. To date, there has been no response. Sweeney has perennially pressed APRA to take action in this regard, with APRA stonewalling against the legitimacy of Sweeney and his queries. APRA unlawfully registered this fund in 2006 without obtaining a copy of the founding Trust Deed, dated 23 December 1913, and copies of all amending Deeds as required by the Superannuation Safety Amendment Act 2004 which amended the Superannuation Industry (Supervision) Act 1993. Instead a document dated 26 August 1986, bearing the signature of a convicted fraudster, was misrepresented to APRA as the founding “Trust Deed” by a business associate of NAB. In the Commission’s interrogations of NAB senior personnel, not one word was asked regarding the NAB’s decades-long criminal predation against small business and family farmers. Jones noted a comparable omission in his article on the Commission and the CBA. The NAB, having the largest SME/farmer share, is the greatest predator in these domains. Jones’ contacts with victims highlight that nothing has changed within the NAB during and since the Royal Commission’s term. This casual evidence has been confirmed in spades by the Kennett mediation process. To get a core of bank victims and spokesperson Peter Brandson out of his face during the 4 Banks Review hearing, 19 October, CEO Thorburn arranged for mediation of a score of victims with sometime Victorian Premier Jeff Kennett as mediator. The process has turned into high farce, with victims complaining about Kennett’s unsympathetic manner, and his decision that almost all of the victims would receive no compensation. Details are sketchy, but The Australian’s Joyce Moullakis reported the dead end, 1 February, under the title ‘NAB customers unhappy with Jeff Kennett’s “harsh” mediation method’ (behind a paywall). Has Thorburn cynically broken his word to these victims, or was the marginalisation of Thorburn over the summer a vehicle for more hard-line forces to close down the mediation process? A specific case concerning the NAB plunder of SMEs concerns the NAB’s sometime British subsidiary Clydesdale & Yorkshire. Jones covered the long-developing malaise in ‘The parlous history of NAB’s Clydesdale Bank’ here. The Clydesdale era peaked in a massive scam involving complex unintelligible facilities combining hi-tech wizardry, supercilious bravado and brutal malevolence. The loans were termed “Tailored Business Loans” (internally known as Time Bomb Loans) that were variable interest rate, plus a mind-boggling array of options for supposed protection against a rate movement formally involving a third party swap and hedge. Post-GFC sour trading conditions, plummeting interest rates and usurious contract break costs led to widespread defaults and foreclosures. However, no third party contracts have ever come to light — the so-called protection contracts were a high class fraud. The NAB subsequently misrepresented the nature of the loans to British authorities to avoid being captured under mandatory remediation schemes. The NAB was involved in a complementary scam, the imposition of Payment Protection Insurance (PPI) on borrowers, one widespread across the British banking industry. The NAB was fined, in April 2015, by the UK Financial Conduct Authority. However the fine was minor and evidently not inhibitive. By contrast, the damages associated with the TBL scam run into billions, and the NAB has, to date, skilfully avoided culpability. A class action is currently in play against the bank. Having inherited the Clydesdale mess, in early 2016 Thorburn and Henry compounded the bastardry by demerging Clydesdale into a new bank CYBG, bequeathing the new entity a compensation contingent sum vastly insufficient for appropriate redress. CYBG chose to hold its AGM in Melbourne on 30 January. The CYBG AGM was held in Australia to avoid as many ex Virgin Money shareholders as possible. The CYBG share price collapsed by 50% between August and December last year. The slide commenced shortly before the merger with Virgin Money. We conclude that this was caused by NAB institutional shareholders (who know about the TBL scam) dumping their shares. Ex Virgin Money shareholders were left wondering why the value of their shares collapsed by 50% straight after the merger. The vast majority of the present CYBG shareholders are either ex Virgin Money or small Australian (ex-NAB) shareholders who do not know about the TBL issue. Nevertheless, two victims made the long journey, one of whom, Ian Lightbody, is a leader of the NAB Customer Support Group. Squalid indeed. There was zero acknowledgment of the Clydesdale TBL fiasco during Royal Commission hearings, and only minor irrelevant coverage of the CYBG AGM in the Australian media. No-one will regret the departure of Andrew Thorburn and Ken Henry. But the NAB’s corruption-prone culture will remain intact. At least the NAB is getting out of the “wealth management” domain, with its decision in May 2018 to sell MLC. Incompetence, low returns and the fallout from unethical indifference to clients provided the kernel for the motivation. 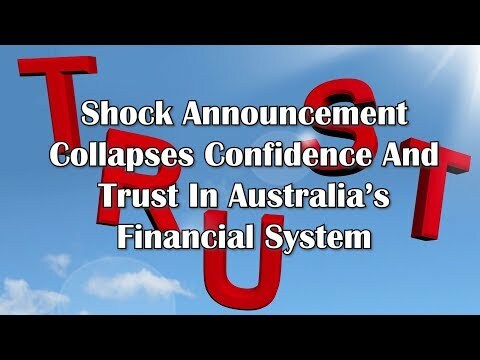 The Royal Commission forced the bank’s hand. A major domain in which the NAB’s predatory reach will no longer operate. But the NAB, and the banking sector in general, retains carte blanche for corruption in its core banking activities. And this after the completion of a Royal Commission with full investigatory powers, pushed for initially to provide redress for bank malpractice against small business borrowers. Commissioner Hayne and his staff and the politicos involved in the abuse of this process, fundamental to the achievement of justice — all stand condemned, with the banking sector’s intransigent management class, for this parlous impasse. Phillip Sweeney is a retired business executive who has been investigating bank superannuation ripoffs for the last decade which have remained untouched by APRA and ASIC. Professor Jones & Phillip Sweeney.